As the Oscar fever looms, we take a look at all the Oscar nominees. With eight nominations altogether including all the major categories such as Best Picture, Best Actor in a Leading role, Best Actress in a Leading role and Best Director, this movie is supposed to be the 'surprise contender' of this year's Academy Awards. We are here to talk about whether it is a surprise that it is nominated at all, or whether it deserves to win them too, surprising major contenders like Lincoln and Argo. Even though the storyline builds up slowly, it starts off solid. Pat (played by Bradley Cooper) is an ex-schoolteacher who just had an eight month stint at a mental institution and only came home because his mom jumped through some hoops to let him off. Why was he there in the first place? Because he beat his wife's lover to death. So as he tries to get back to his feet again with his 'Excelsior' mantra, exercising and reading, he keeps ignoring the root of his problems. Even with his playbook of finding the best in everything, he still is as delusional, obsessing over how his marriage is stronger than ever. As his exasperated parents struggle to keep him okay, he meets Tiffany (Jennifer Lawrence) an old acquaintance, who is fighting with depression herself. They hit it off, and Tiffany starts helping him out to 'win over' his wife, and the movie takes a predictable direction. 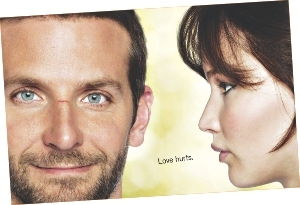 Silver Linings Playbook is a good movie; you'd say that after you've seen it. Bradley Cooper does really well, Jennifer Lawrence won the Golden Globe and Robert De Niro play's Pat's dad; so we can't complain about the cast. The issue is though, it's not that memorable. There are upsides, like the warm portrayal of those dealing with bipolar disorder and the trauma that those families are put through and hilarity ensues in scenes with Tiffany and Pat's obsessive compulsive bookmaker dad, however in the end it ends up being a rather conventional romantic comedy instead of being the edgy movie it initially promises to be. It being the third highest nominee this year says a lot about the other movies as well. We are fascinatingly biased towards people with white skin. Not being racist or elitist, but we think a janitor in Amrika is perfectly capable of managing 3-4 companies here. Same goes with BPL. When we heard there won't be any Pakistanis coming to play, we rushed to get some white boys. I mean, I want to meet the person who had heard of Ben Cumminson or Huddled McDriver before they played in this year's BPL. Note, those were not actually their names, but I can't be bothered to look them up. Broken promises and a silliness mirroring our tender years when we refused to play with a mate just because he/she wouldn't let us smell their pretty eraser saw the extremely sought after Pakistani players (also mostly whiter than us) not coming to this year's BPL. So the franchises had to “make do” with players most of the people don't even recognise. The result is the players from yesteryears, or from dilapidated country villages whose names can break jaws. It would have been great if they could play well. But sadly it's not the case. This year's BPL lacks the excitement. 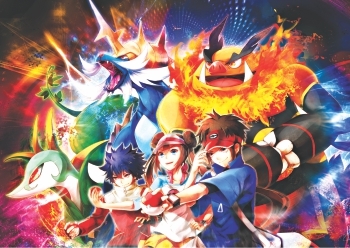 Most of the games are not competitive and some teams are overpowered. 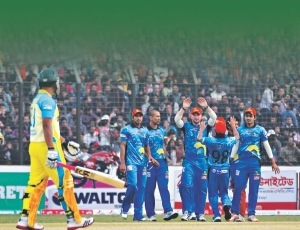 Like Dhaka Gladiators: Mashrafe, Shakib, Oram, Ashraful in the same team? I know, Ashraful's not much for more than one match, but still. The best thing about BPL is that the local players are performing. The highest run-getters and wicket-takers are mostly Bangladeshis. Except for Brendon Taylor. But he doesn't count. We all hate him. Those sixes off Mashrafe still make me quiver in rage. There have been only a handful of people attending the matches, at least till the Chittagong phase. Ticket price. Talking about prices, we keep hearing that they foreign players aren't getting the money. Beware BPL governing body, they are not like our garments workers. They won't play for the fun and the experience. No matter how nice it feels to see them on the other side of late payments, it's seriously hurting our reputation. Add to that the fact that there won't be help from the World Bank for the Padma bridge and we might look forward to a nation-wide hijab. At least, we aren't touring Pakistan. That's a relief. Dropkick Murphys is to Punk what stump legs and eye patches are to Somali pirates. For simplicity's sake, I'll attach a label to their distinct style and call it Celtic Punk. Signed and Sealed in Blood is the Boston band's eighth album and 16 years since they started, they've still got it. Signed is very different from its predecessor, Going Out in Style, in that it dismisses the shackles that Going had. A concept album about a fictional character named Cornelius Larkin, Going was a heavily interconnected album and Signed has none of that. 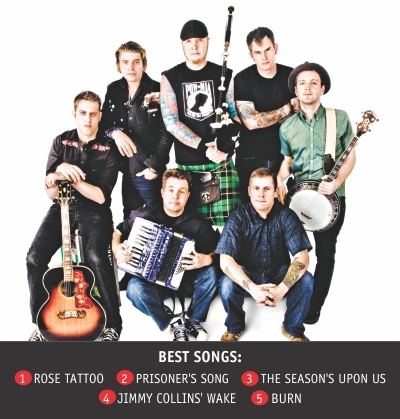 This is just fun, catchy, sing along punk anthems; a mash of heavy guitars, punk drum beats and instruments ranging from bagpipes and banjos to mandolins and tin whistles. The album opens up with the energetic The Boys Are Back. A blend of bagpipes and Irish cheer make the chorus the catchiest in the album. From the second track to the ninth, I love every song (except one which was still not bad). Prisoner's Song can be seen as the sequel to “I'm Shipping Up To Boston”; similar folk riff and upbeat accordion tempo. If it ain't broke, don't fix it. Rose Tattoo brings one of the strangest collaborations in a while. Winston Marshall of Mumford and Sons provides the banjo for my favourite song of the album, Rose Tattoo. Not as high tempo as Prisoner's Song, but this is musically the most satisfying of the lot. And the lyrics have that whole sailor thing to it which guarantees adoration from the Dropkick faithful. This is followed by the high octane Burn. While I previously attached the term Celtic Punk for simplicity, this song is the furthest from Celtic and closest to Punk. Even though it's still got an overbearing tin whistle influence, this typically atomic-speed hit of punk is a nice change from the sing alongs. Jimmy Collins' Wake starts the Christmas theme. This eulogy to the original manager of the Red Sox's first World Series win is a nice little fun song to sit around and sing along (as opposed to jumping up on the table and singing along). It's a drinking song at heart and that's not a negative attribute in any way. Next up is the Christmas song for every ultra dysfunctional family; “The Season's Upon Us” is a novelty track. Listen to the lyrics and it's actually pretty damn hilarious - “My sisters are wackjobs, I wish I had none; their husbands are losers and so are their sons”. The Battle Rages On is an okay song. 80% of it is the chorus. Not one of the essential tracks. Don't Tear Us Apart has a nice little piano intro and is more of the infectious sing-along-ness. The lyrics are a bit cheesy, but it's a nice song nonetheless. My Hero is the most guitar-heavy track in the album, and has probably the most homogenous punk riff. This song, after the other songs, doesn't instantly appeal but it gets better with every listen. This song probably best represents the whole blue collar working class vibe that Dropkick goes for. The last three tracks aren't THAT great. They're still pretty good. Out On the Town has a bit of power-pop-punk thing going (think Green Day). Bagpipes make everything cooler, so can't fault the chorus gang vocals here, but the rest of the song is just...unoriginal. Out of Our Heads demands that you clap along as the folk-y, Irish jig turns on with a banjo and accordion riff. Nice combination of Celtic and punk sensibilities. The album closes out with End of the Night – a loser's anthem as he doesn't want to leave the bar. Solemn drinking song, but by now, you're just like “yeah, we get it, you guys like drinking”. The band's come a long way since the days of “Kiss Me, I'm Shitfaced” but (unless you're just that fickle) you can't accuse them of having sold out nor of not evolving their sound. Signed and Sealed in Blood shows that Dropkick Murphys are at their best when they cut loose. For new listeners and old, this album is worth it.